Today, I was introduced with an online text visualization tool from my course colleagues. 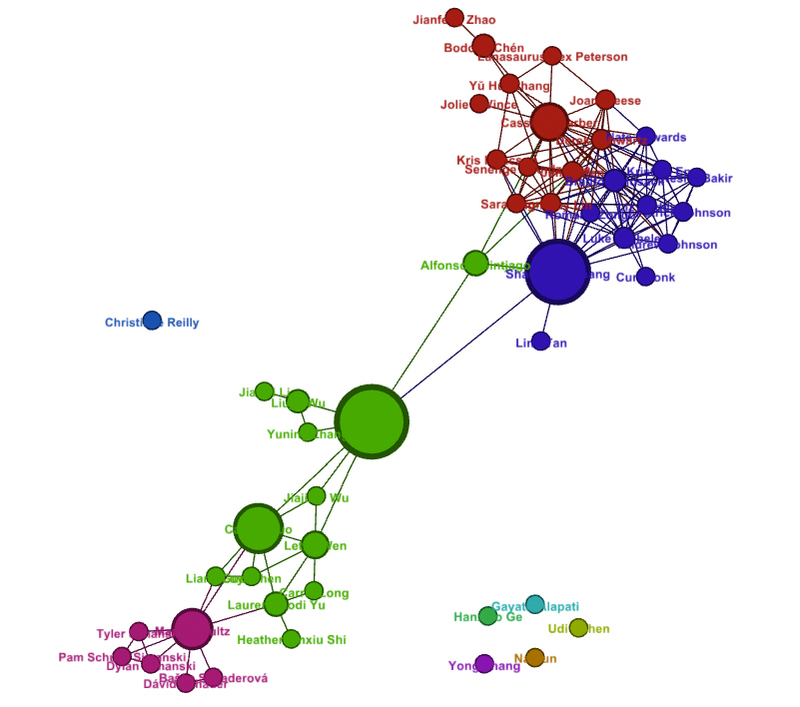 This tool can analyze any text into an interactive network. very cool! 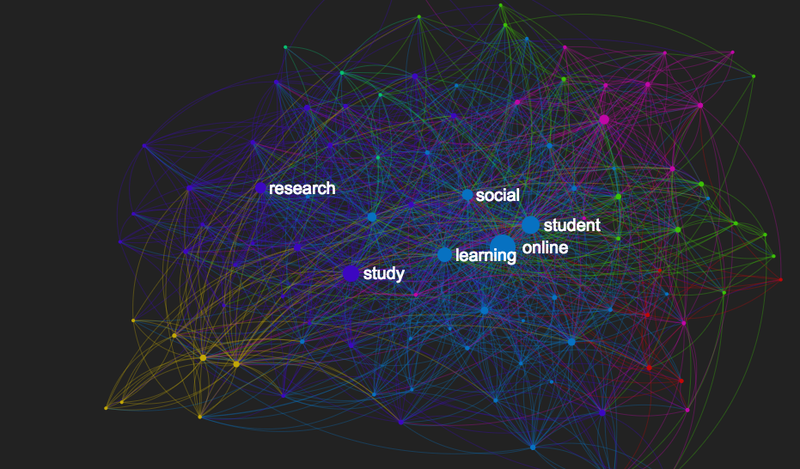 I used it to analyze one of my conference paper, which was focused on online social learning. Here is the link to the text network. Avg. weighted degree: Average of sum of weights of the edges of nodes. 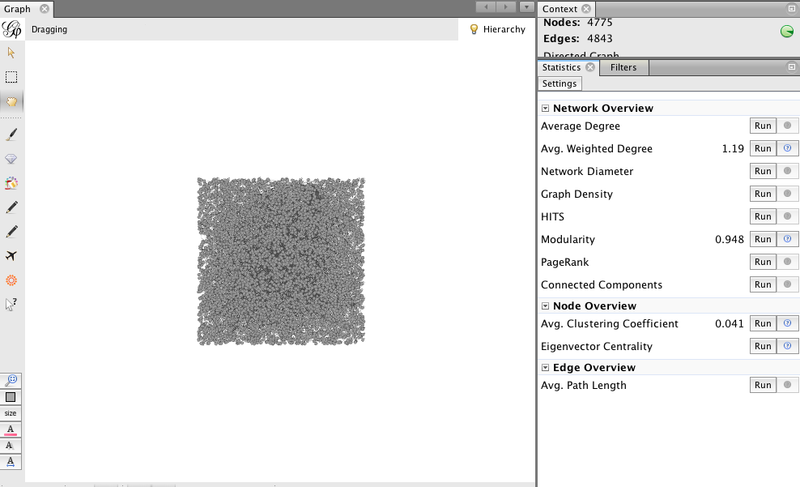 (differences: Average Degree: Simply the sum of edges of a node.) We always use avg. weighted degree, I think. Modularity: Measures how well a network decomposes into modular communities. 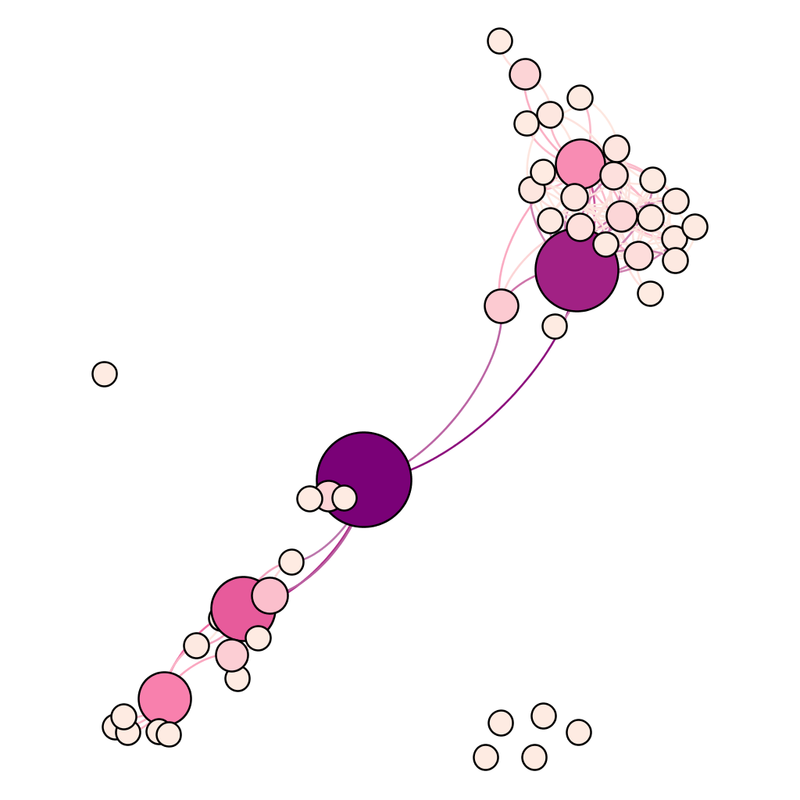 Eigenvector centrality: A measure of node importance in a network based on a node’s connections. 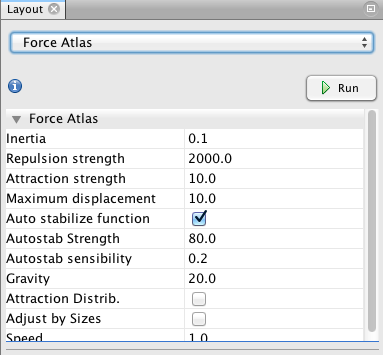 Then partition the edge relationship: tweet, reply and mention; Run a layout algorithm – force atlas to get a better layout; show the labels for nodes and run a label adjust algorithm. 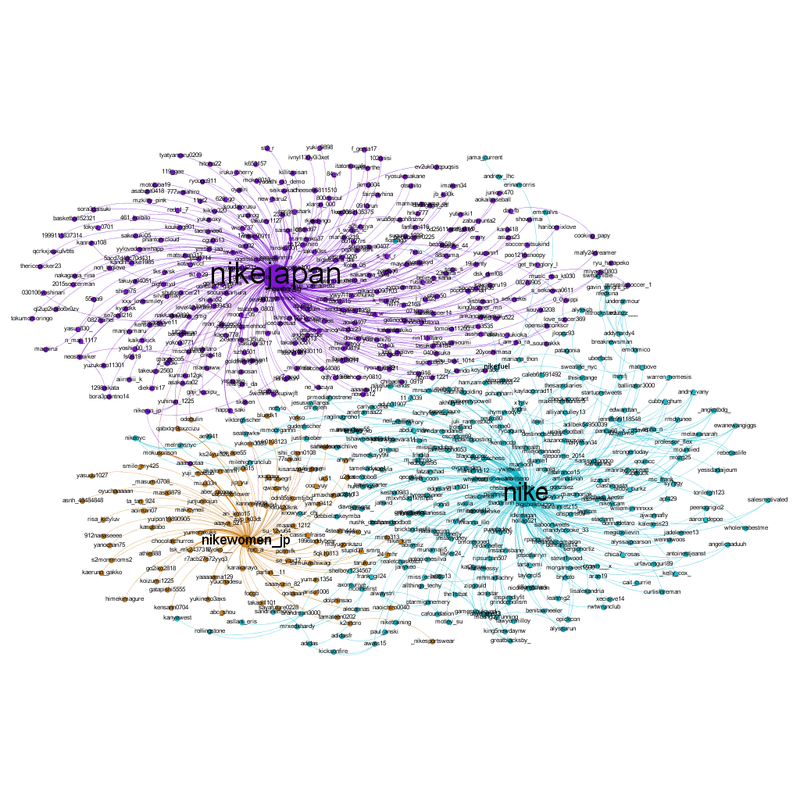 From the analysis, we can see that nikejapan, nike, and nikewomen_jp are the first three #justdoit communities. Why do Japanese enjoy running this much? What comes to my mind firstly is the book – What I Talk About When I Talk About Running written by a famous Japanese writer Haruki Murakami. It seems that his book has made a hit! 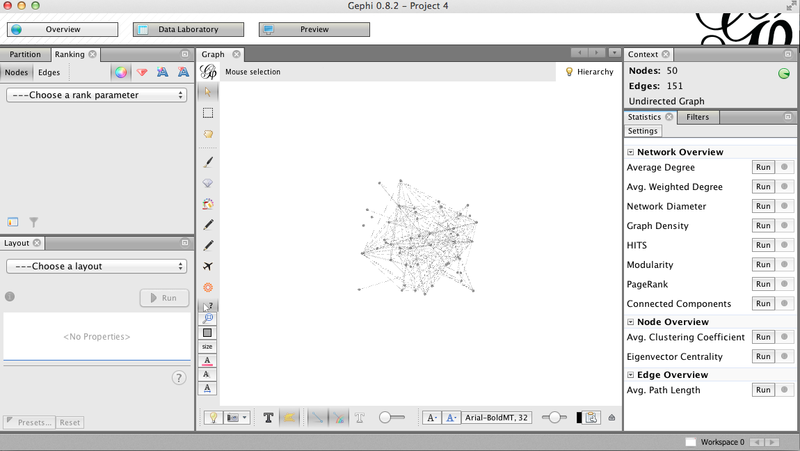 First, I must get Gephi installed in my MacBook. It’s very easy to install it in Windows OS but for apple OS, this process was full of pain. It took me almost 7 hours to troubleshoot all problems. Finally, I won. I followed these two posts and tried all potential ways. If you got the same issue, the only thing you can do is either giving up or keeping yourself cool and try all these tips shown in the two posts. Then, I downloaded my personal friends network out of Facebook on NetGet Application and it was used to save my friends’ network in a GML File. In this process, you’d better use Google Chrome to download the gml file. Safari is not professional. When I used Safari to save the file, it was automatically saved as a txt file, which can’t be opened in Gephi. For groups or pages, we can get data from Facebook apps – netvizz. 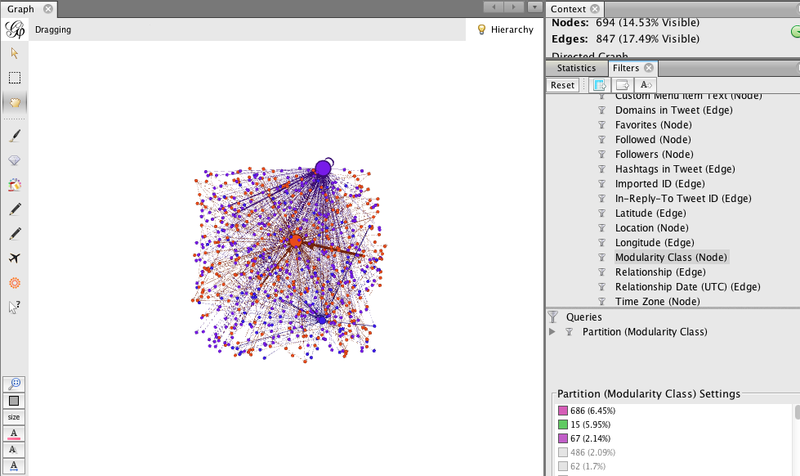 Now, I can start playing with Gephi! 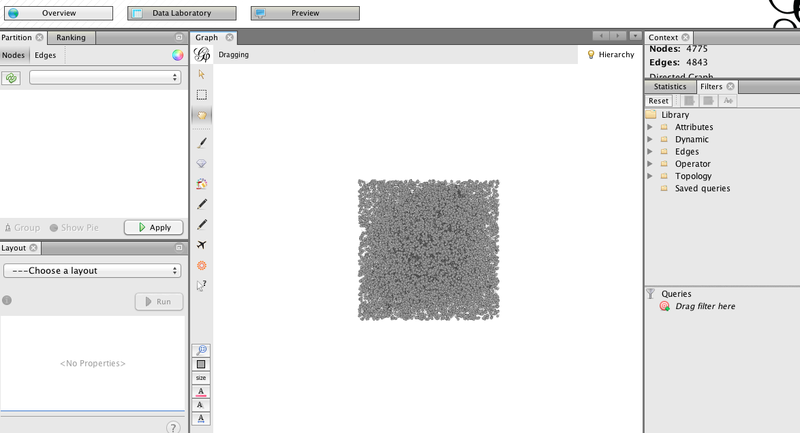 1. open gml file in Gephi. 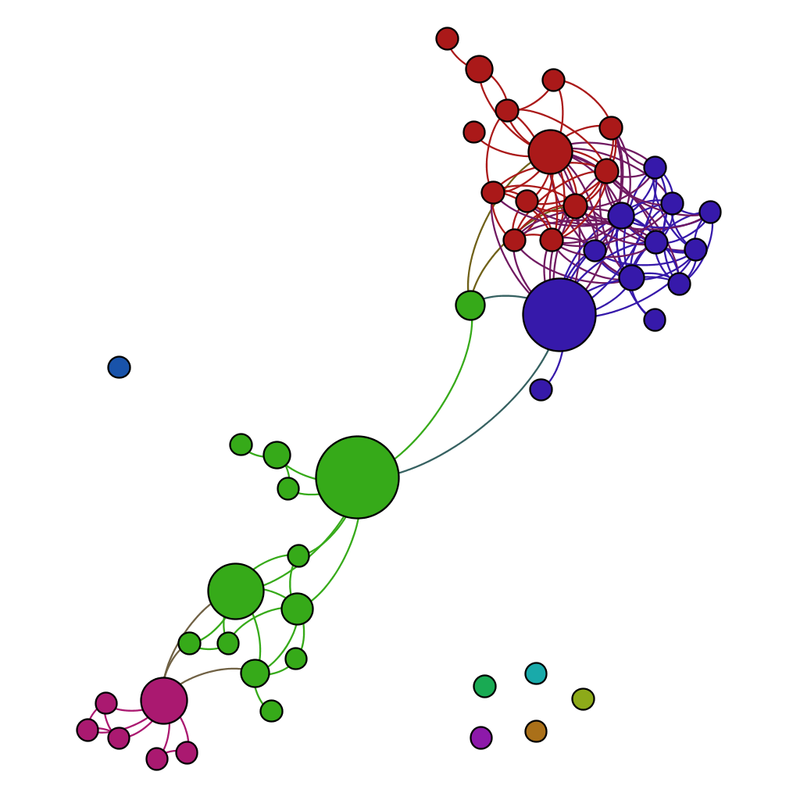 The network is shown as a grey meaningless graph. 5. if you wanna show names in the graph, you can click “show nodes labels” in Graph window, and use “label adjust” in Layout.